Happy Friday and welcome to Week 4 of Hitters I Can’t Pick Up! 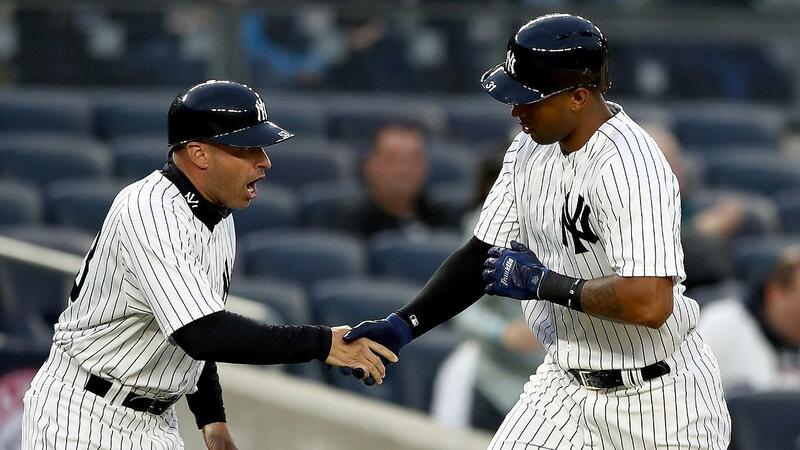 Aaron Hicks profiles as a guy that is currently succeeding despite limited playing time, prompting a lot of owners to pick him up. However, the problem with that is with limited playing time comes a smaller sample size, making it harder to trust Hicks’ current numbers. This is evidenced by his strikeout rate (9.1%) and walk rate (22.7%), which are drastically different from the norm for Hicks and I would expect to regress back to the mean in the future. His limited playing time also implies that he is getting put in the lineup when it’s a beneficial matchup for him, further artificially enhancing his numbers. He’ll only be relevant if he gets a consistent amount of playing time due to an injury and if that happens, his stats will most likely normalize and you won’t want him anyway. I’m not actually owning Werth in any of my leagues, I’m just presenting him here as a point of contrast to Hick’s situation. Werth has consistent playing time in the Nationals lineup as a veteran outfielder and that’s not changing anytime soon. I’d expect him to outproduce someone like Hicks based solely on the fact that he’s going to accumulate more plate appearances over the course of the year. Of course, that can all change due to Werth’s high injury risk, but to me, Hicks is a lottery ticket and not much more at this point. Just look at that glorious hair. And that studly hair flip! After he smashed a grand slam against the A’s on Sunday, how can you NOT want to own this stud? It’s tempting for sure, but let’s see if we can pump the brakes here. 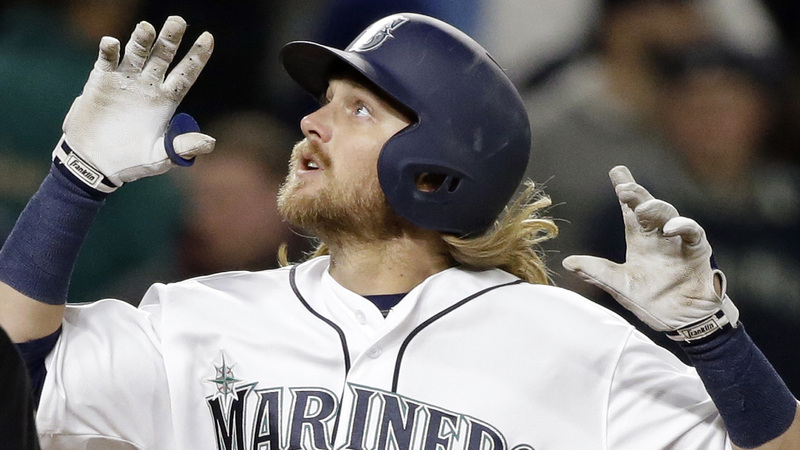 Motter has 5 home runs so far this year, leading to a 25.0% HR/FB rate, but he’s not projected to be a power hitter, averaging around 10% the past three years when he was in the minors. So yeah, I wouldn’t really count on the home runs continuing like this. For a guy that is expected to contribute in the stolen bases category, a 21.3% strikeout rate and 0.311 OBP is not ideal for when the home runs slow down. I’d be wary of adding Motter, but I can’t help but be intrigued by the potential power/speed combination he’s teasing. Along with a 0.237 BABIP that implies his batting average and OBP could rise a few more points, Motter is worth a speculative flier if you have the space (I’d prefer him to Dansby Swanson and Tim Anderson at the moment), but not a must own player just yet. I mentioned Asdrubal in last week’s article but didn’t go in depth on him, so I’ll take the opportunity to talk about him now, especially as there’s not a whole much else on the wire for SS right now. To be sure, Cabrera is probably the last SS I’d hold over picking up Motter, so this is a close one to call. In the end, I think long-term I trust Cabrera’s spot in the Mets’ lineup more than Motter’s in the Mariners’ lineup and that’s generally why I prefer him. I expect solid, if unspectacular, production from Cabrera for the rest of the year, with the occasional white-hot streak similar to the ones he went on last year. In the event that you are in need of steals, however, I could buy into picking up Motter over Cabrera. I gotta say, this is the most conflicted I’ve been when comparing two players for this article. Full disclaimer, I started looking at both of these players earlier in the week when their ownership percentages were much lower, so unfortunately they may no longer be available in your league. Consider this section as an endorsement for both of these players, and if either one is available in your league, you need to run to your waiver wire to add them ASAP. I’ve said enough. Go get you some Gallo, if you still can. 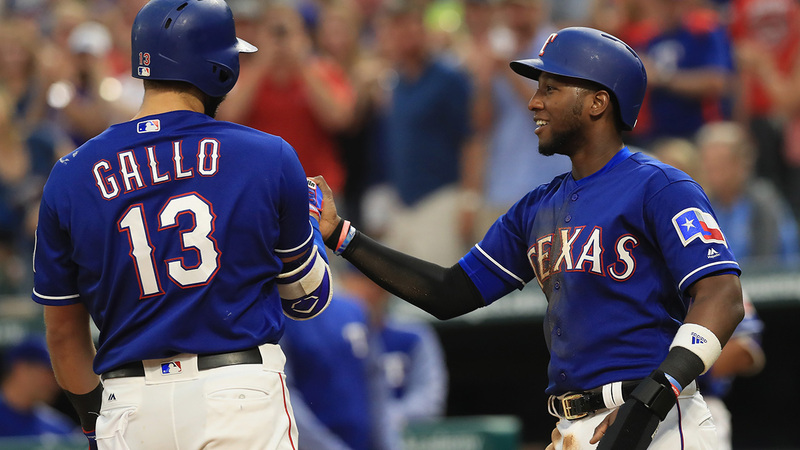 He should be owned in most leagues by now, but if Travis Shaw is still available in yours, you shouldn’t hesitate in giving him a spot on your roster…unless Joey Gallo is still out there. I was conflicted between him and Gallo because they are very similar players: relatively young, left-handed players who play for good offenses in good ballparks for hitters. While Shaw has a better spot in the lineup right now, I think his success is predicated more on the situation he’s in, rather than his pure talent. It’s enough to make me prefer Gallo to Shaw, combined with the peripherals/projections in their Fangraphs profiles favoring Gallo as well. You can find me on Twitter here, where you can pinpoint the exact moment the Titans ripped my heart in half by drafting OJ Howard at 19th overall. All stats courtesy of fangraphs.com and baseballsavant.mlb.com. All images courtesy of mlb.com.